Raja Ampat and the Anambas Islands, two of the world's most alluring environmental treasures, at first sight may appear much pretty much indistinguishable. Both Raja Ampat and Anambas comprise hundreds of small jungle-covered island as close to tropical idyll as you'll likely to find in Indonesia, for that matter, the rest of the world. Both territories, Raja Ampat and the Anambas, offer intrepid travelers stunning, luscious, tropical backdrops and Raja Ampat and Anambas are both home to what's been said to be the world's largest diversity of marine life and coral species in particular. What's more, Raja Ampat and the Anambas Islands are lightly populated, mostly still untouched and certainly still devoid of any of the usual side-effects of industrialization. As a matter of fact, it's safe to say that both Raja Ampat and Anambas are not just a holiday - both are holiday dreams come true. That being said, there are a number of differences between Raja Ampat and the Anambas that need to be made clear, such that discerning travelers can make an educated decision on where to spend their island oasis budget. First of all, for all Raja Ampat's natural beauty, there's no mistaking that it's far to travel. Even when you're already in Jakarta, Raja Ampat is still a 6 hour flight away, usually with a stop-over, followed by a boat ride. 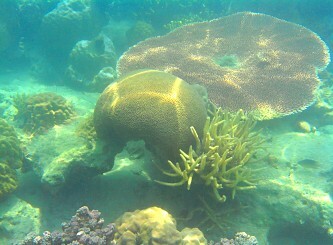 To be sure, some Raja Ampat visitors say that the distance was well worth it, and that may be true once you're there. 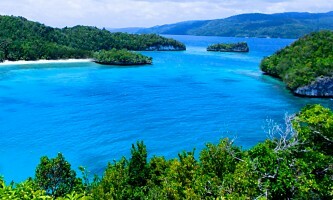 But not all travelers are comfortable with going to areas as remote as Papua, which is where Raja Ampat is located. The other point important enough to be highlighted is that, whilst Raja Ampat offers indisputable natural beauty, it has also been discovered by a number of niche travel agents worldwide, who appear to have no qualms about charging disproportionate rates. This appears to have sparked off a chain reaction amongst the hospitality and other tourism-related service establishments in the area. The nett result of this race to the top is excessively high rates for Raja Ampat hotel rooms, food and drinks, activities, as well as boat transport. In actual fact, cost of a holiday in Raja Ampat has now reached such steepness as to effectively render the destination out of reach of backpackers and other budget travelers. Not only is Anambas a quick direct one-hour plane hop from Bintan, which itself is quite accessible from Singapore and Jakarta, but Anambas is also downright affordable. Now, in the interest of full disclosure, it should be noted that if you prefer taking seafaring transport to taking the plane, the ferry from Batam to Anambas is a 6 hour journey. 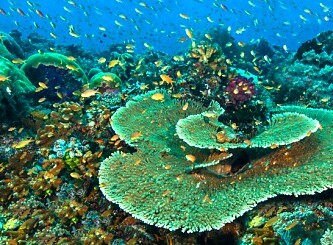 Of course, for travelers not keen on flying, Raja Ampat isn't really feasible to begin with. The other thing travelers should keep in mind that - given that Anambas is dependent on cargo ships for its commodities, in fact most everything - the Anambas islands may not necessarily be quite as dirt-cheap as mainland Indonesia. However, a once-in-a-lifetime getaway to Anambas is certainly way more affordable than spending any amount of time in Raja Ampat. It's true that both are world-class leisure destination, but your Rupiahs will stretch a lot further in Anambas than in Raja Ampat. What is also beyond doubt is that Anambas offers the same final frontier feel as Raja Ampat without having to travel as far away from civilization. In addition, clearly, the bountiful breathtaking surroundings, the sense of mystery and the transporting sunsets on offer in Anambas are all fully on a par with Raja Ampat's. Bottom line: if you want to follow the road less travelled, explore a timeless part of the world, experience life on stunning uninhabited paradise islands located at world's end, and you want to do all this without breaking the bank, then Anambas is your destination of choice.